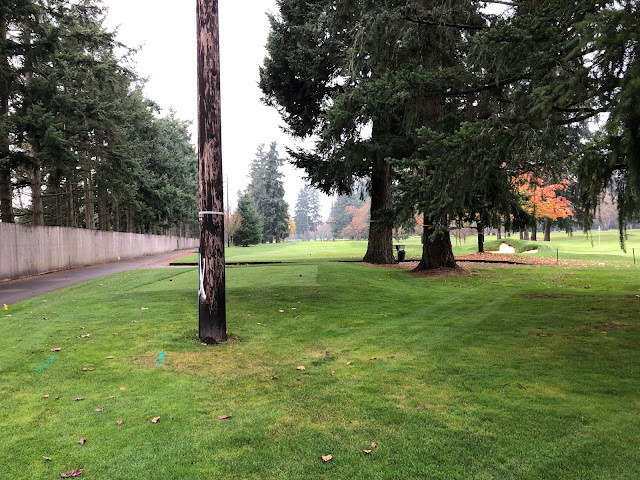 Remember that power pole near the championship tee on #5? Well now you see it and now you don't. With the pole now moved out of the way, we are proceeding with the Master Plan project to rebuild and lengthen the teeing ground on #5. 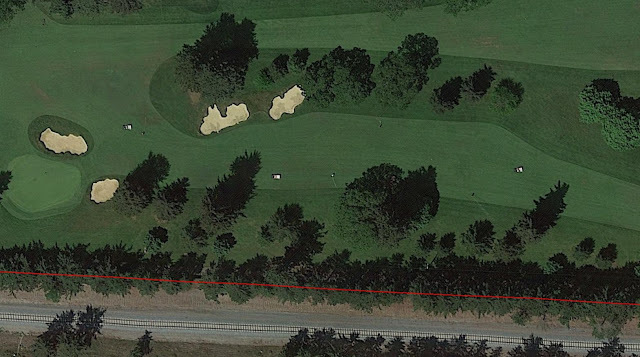 The two aerial images below shows how that teeing ground looks now, and how it will look after. There will also be some changes in the fairway. 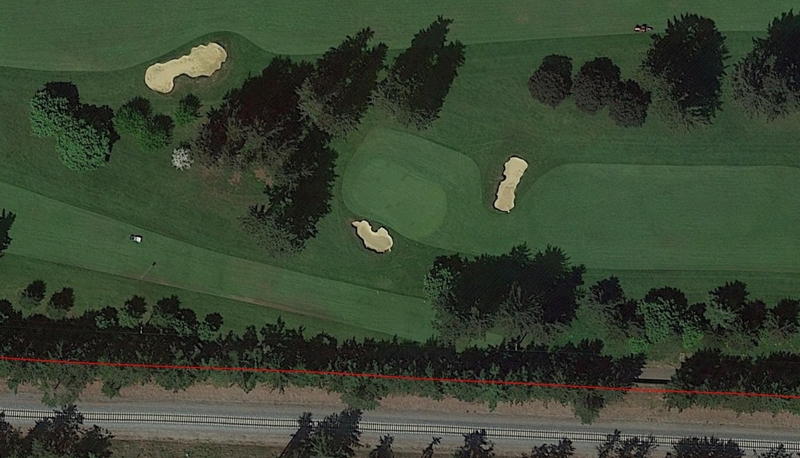 Below are a couple of aerial images which show the before and after look of the fairway area. 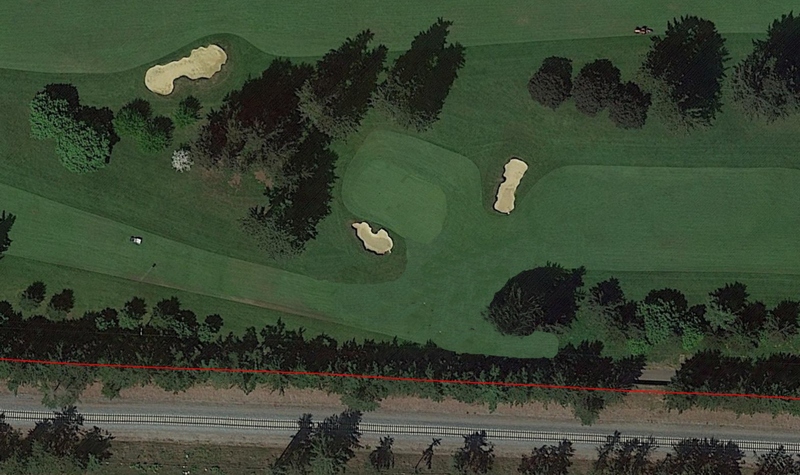 When this hole was changed to a dogleg back in the early 70's, the fir trees were about 50 feet shorter than they are now. 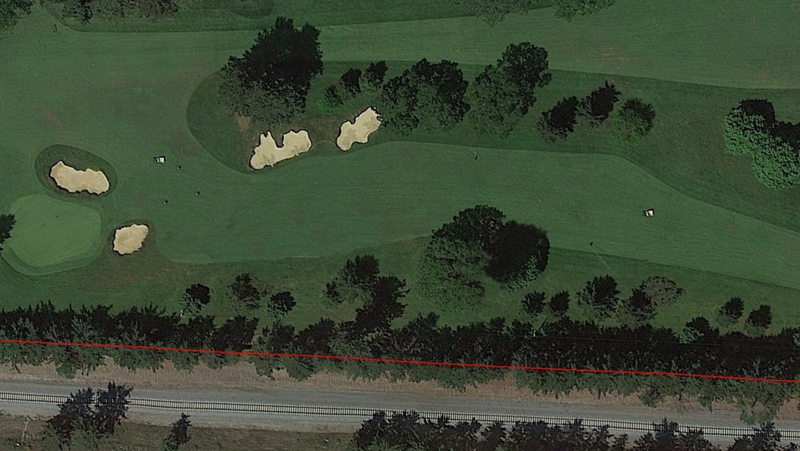 Obviously the aggressive line over the left edge of the fairway was part of the original intent so this project will restore that fun risk-reward opportunity. So yes we are fixing the 5th hole and it's going to once again be one of the best short par 4's anywhere. This project will begin in the middle of January 2019. For a full detailed description of the project, please watch this video.